Estepona combines the charm of an old fishing village with a modern upscale vacation spot a few kilometres from Marbella but without the typical mundane bustle of its neighbour. 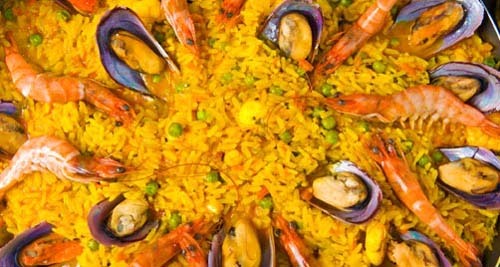 Gastronomy in Estepona is wide, from typical Malaga and Mediterranean cuisine to international cuisine. Find below some of the best or most popular restaurants in Estepona. Feel free to send your comments and photos! Original entries and the signature dish is usually some salted fish. Beach restaurant & Lounge. Variety of dishes with an international touch, without losing the Mediterranean roots. In the restaurant La Taberna de Lucia you can taste typical dishes of Mediterranean cuisine. Among its specialties are included fresh fish from the bay of Estepona and Iberian meats. The Restaurant Quinta El Jardín de las Delicias is located next to the Kempinski hotel and 10 metres from the beach. It has a large indoor dining room, a ballroom, and an extensive garden, with paths that wind among flowers, plants and ponds, where you can eat in the shade of trees. It also has a terrace overlooking the sea. Feel free to add in the comments your favourite place or give your opinion on any of the listed restaurants in Estepona.